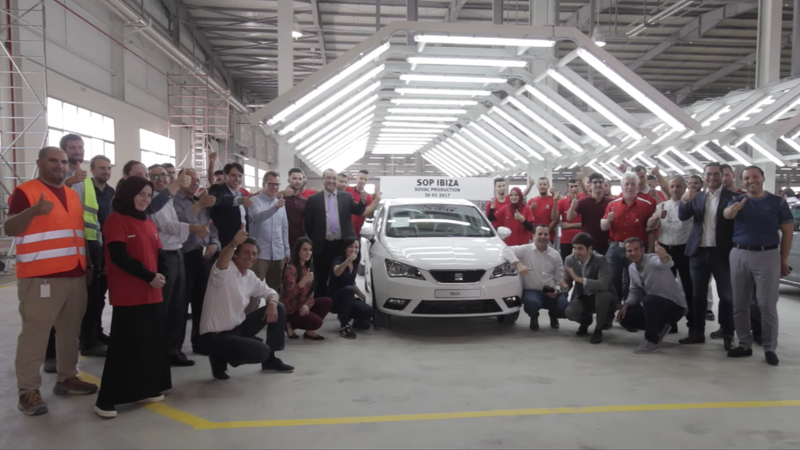 A look inside VW’s Relizane plant in Algeria. While some automakers have been producing cars in South Africa for decades, Northern Africa countries like Morocco and Algeria have become more and more industrialized with increasing production, and the region is quickly becoming a new hub of automotive manufacturing. Automakers have started investing billions of dollars into North Africa to sustain growth that’s otherwise trailing off in aging markets like Europe and China, in part due to new policies in countries like Algeria that promote local production over imports, the Wall Street Journal reports. Algeria’s no-import rules resulted in a new Volkswagen assembly plant that produces the VW Polo, Skoda Octavia, and SEAT Ibiza and Arona. Foreign investment in the North Africa region grew from $5 billion in 2011 to $12 billion in 2016, most of which was linked to automotive production. Morocco’s car industry has already overtaken South Africa, and its expected to soon be producing more cars than Italy. Morocco has also become a major supplier for European automotive production, supplying seats and other parts to Ford in Spain. In Morocco, Renault, which has a more-than 40% market share in the region, has built two assembly plants in the past five years that produce more than 200,000 cars a year. Peugeot, on a major expansion drive, is building a plant in Morocco that is set to go online later this year. Renault’s Morocco production includes the low-cost Dacia brand, of which Algeria is one of the company’s key markets. Nissan also has an assembly plant in Egypt, and a number of automotive supply companies have moved in to take advantage of the area’s centralize geographic location and growing skilled labor population. Local governments are incentivizing automakers hoping that all of this new investment will stick and provide economic opportunity to large numbers of unemployed, slow down emigration and reduce crime and help pay off massive infrastructure loans owed to China. OPEC forecasts the consumer market for cars in the region will grow from 59 million to up to 90 million vehicles on the road by 2040, via the Wall Street Journal, so there’s plenty of growth potential in sales, too.